Movie Review - 'Blue Jasmine' - Cate Blanchett, Trifling With The Kindness Of Strangers Woody Allen's latest is a by-the-numbers number — though it may very well be redeemed by a dynamic Cate Blanchett as a damaged woman poised between stasis and hysteria. Jasmine, once a wealthy Manhattan socialite, comes to us a jabbering wreck in Woody Allen's Blue Jasmine. We meet her staggering off a plane in San Francisco to stay with her down-market sister Ginger (Sally Hawkins). The bottom has fallen out of Jasmine's glamorous world, in which she oozed style and made the trains run on time for her husband, Hal (Alec Baldwin), a financier who gave lavishly to charity with others' money. The name Madoff never comes up, but Hal went to jail, Jasmine is left with mountains of debt, and it's not hard to do the math. Jasmine takes present-day Ginger to a party where she's reeled in by the smooth-talking Al (Louis C.K. ), who seems to provide Ginger everything her lug of a boyfriend back home doesn't. Knocking back the Xanax, spilling her guts to hapless fellow passengers, resigned cabbies and anyone else who will listen — herself included — Jasmine is an empty vessel. Yet there's more to her, mostly because she's lucky enough to be played by Cate Blanchett, than when she was faking her way up and into the good life back East. And Jasmine doesn't lack for pluck: She goes to work for a randy dentist (Michael Stuhlbarg) while struggling through a computer course to train as an online interior decorator. What Jasmine does lack, and in spades, is anything resembling an inner life that might sustain her through her catastrophic fall from grace. She derives her sense of self-worth solely from the trappings of status and style that defined her former life. And though she, like Ginger (only adoption could make these two plausible as siblings), came up from nothing, Jasmine tries to pry her sister away from her faithful lug of a boyfriend (Bobby Cannavale). Meanwhile Jasmine, desperately revising her history upward, glues herself to a vaporous diplomat (Peter Sarsgaard) who thinks she'll go well with his new mansion. Thinly conceived and transparent in execution, Blue Jasmine can't be defended as craft. The plotting is wooden, the flashbacks lazy, the adoption device a bad joke, and as always, everyone stammers like Woody. 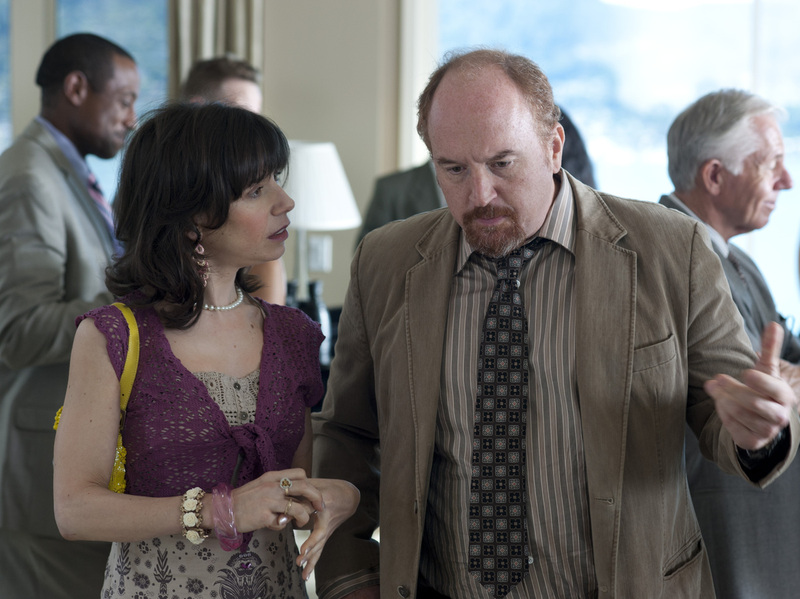 Allen loads his supporting cast with notables — Louis C.K., Andrew Dice Clay — who function mainly as sight gags. And if Allen did, as many have suggested, have that famous Tennessee Williams play in mind as his template, it's never clear what for. The capable Hawkins is certainly no Stella — like Jasmine, Ginger goes where the wind blows, while her yelling boyfriend makes for a cheap knockoff of Stanley Kowalski. As for Jasmine — poor, chattering Jasmine lacks the tragic heft of Blanche Dubois. One the other hand, there's Blanchett to be reckoned with. In her time the actress has spanned an enormous variety of modern women, strong and weak, tragic and comic. With her, though, it's not just a matter of range. Blanchett is a genuine movie star, at once a modern woman and a majestic throwback to the glory days of the 1940s women's picture, an actress who'd be equally at home as a mother courage in a maternal melodrama or as a noir femme fatale, dripping evil as she swans around in shoulder pads and cigarette holder. Jasmine's is a more complicated, less heroic story, and Blanchett brings to her a wonderful tension between stasis and hysteria. As Hal's cosseted wife, Jasmine is two parts woman on the make, one part devoted helpmeet — and, eclipsing both those identities, one crucial part eternal child, refusing to look at unpleasant truths even when they punch her in the nose. In a fit of rage, Jasmine tells a giant whopper that alienates her from the one person she might be said to truly love. Crucially, the lie is not calculated but reactive, a feeble wheeze to protect a bottomless need for recognition. Blanchett won't redeem Jasmine or damn her, but she won't brook our condescension either. As written, Jasmine is a hopeless neurotic, trapped in a perpetual panic. As played, she has a wicked hint of Scarlett O'Hara.